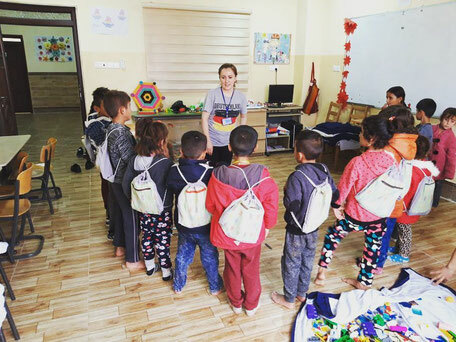 Our Bridge is a non-political, religiously independent aid organisation that works for the protection, housing and education of orphans, half-orphans and children with disabilities in the crisis areas of Northern Iraq. Our humanitarian commitment is the answer to the cruel genocide of the Yazidi in August 2014: The murderers of the self-proclaimed Islamic state attack the Shingal region in northern Iraq from the shade of the night. It is the home of the Yazidi, a religious minority that has been suffering for centuries from persecution of Islamists and struggling for its existence. It is as if it were raining blood. The fathers and sons of the Yazidi are driven and executed to market places and open fields. The mothers and daughters are dragged deep into the country and enslaved in dark back rooms. The black storm leaves behind a lost generation of traumatized orphans with no home, no protector and no future. Born out of the plight of these children, Our Bridge was founded a few weeks after the genocide by German-Kurdish students in Oldenburg. A bridge is to be built in order to provide the children with the necessary help in time and to be a light in the darkness. We will donate a part of the proceeds of our revenue to "Our Bridge e.V." starting as of 2019. 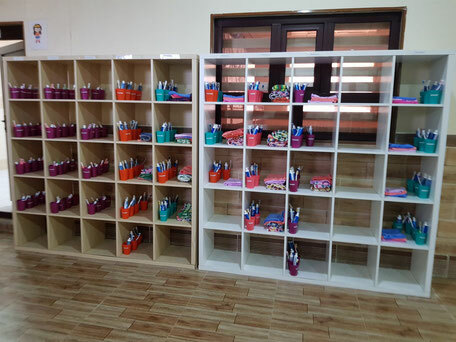 In this way, we support the provision of sufficient dental care products for every child. In addition, the children are visited by a dentist at regular intervals to check and instruct them on proper dental care. We would be delighted if you would also support "Our Bridge e.V." with your donation. Just talk to us about it. Kinder im Waisenhaus, Bildrechte: Our Bridge e.V. Zahnpflegeset der Kinder, Bildrechte Our Bridge e. V.